January 9, 2017 – Montreal – MPB Communications’ President, Jane Bachynski, is pleased to announce that MPB Communications Inc. will be holding a contest open to universities and not-for-profit laboratories for the chance to have use of an MPB VFL visible fiber laser for their research facility for a three-year period. “MPB has a history of working with pioneering researchers to help them develop new processes and techniques using novel fiber lasers. The purpose of this contest is to give younger researchers access to unique tools which will allow them to explore their own innovative ideas,” said Ms. Bachynski. The contest is part of a year-long “Celebration of Innovation” initiative celebrating the company’s 40th anniersary. MPB’s history began in 1977 when group of eight scientists, engineers, and technicians led by Dr. Morrel P. Bachynski, former vice-president of RCA Victor Laboratories, began MPB Technologies Inc. with the desire of staying in Montreal after RCA decided to close its Canadian operations. The company’s historical roots embrace laser research and development. Early products included the MPB GN-series scientific C02 lasers, renowned for their stability and reliability. Some of these lasers still remain in use after more than 30 years of operation. MPB entered the field of fiber optics in the late 1990’s and maintains a prominent position in the long-span telecommunications market by way of its patented Raman fiber lasers. This technology expertise naturally led to the expansion into a broader line of fiber laser products. MPB’s fiber laser series, introduced in 2006, have a reputation for unsurpassed beam quality, reliability, and stability. 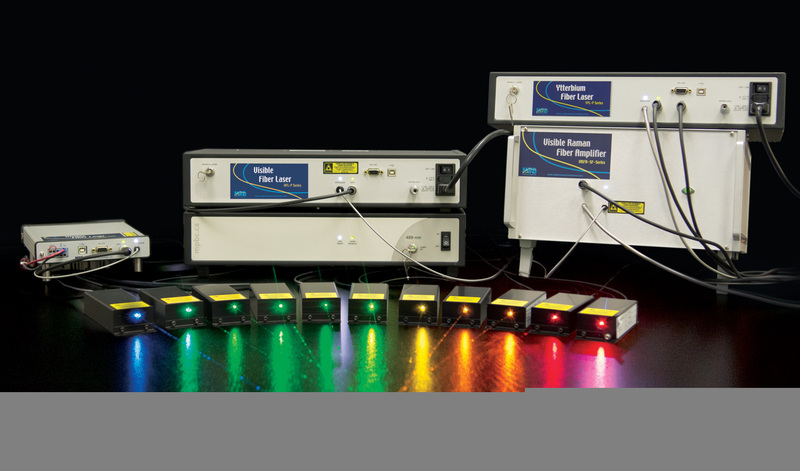 First developed in conjunction with Dr. William Telford for the NIH National Cancer Institute Core Flow Cytometry Facility, and expanded for customers that include Nobel Laureate winners Dr. Stefan Hell at Max Plank Institute and Dr. Eric Betzig of the Howard Hughes Medical Institute, the series now covers twenty-six wavelengths from 488-nm to 775-nm, with powers from 0.2 to 5 Watts. The company also produces sub ns pulsed fiber lasers and modelocked fiber lasers. Details about the “Celebration of Innovation” fiber-laser contest will be introduced on-line and at Photonics West in San Francisco at the end of January. Since 1977, MPBC has been manufacturing high-performance lasers and amplification products targeted at the Photonics Community. With products for telecommunications, aerospace, defense and scientific markets, MPBC is renowned for highly-reliable, innovative designs. The company has been recognized with numerous awards including the Canadian Enterprise Award, Mercuraides Business of the Year, The Canadian Export Award and the Fiber Optic Product News Technology award. MPBC is ISO9001 accredited with offices across Canada and its head office and R&D facilities centralized in Montreal Quebec.